You as a player: I am a goalkeeper who is a natural born leader and love to command my team to help as communication is a massive part of my game. I like to play with a high starting position to sweep up behind defenders and stop counter attacks.I am comfortable with the ball at my feet and can play long or short with both feet. 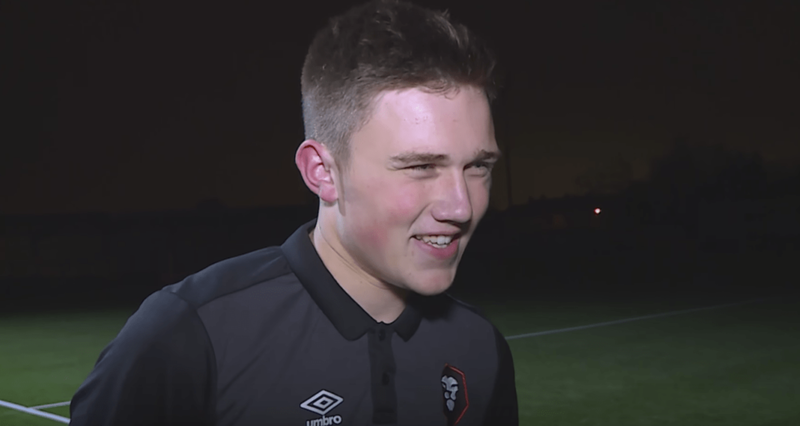 My main strengths are reaction saves, one v one saves and dealing with crosses into my box, this helps because i have played for non-league team Salford city Fc which was great for my development and i learnt a lot playing for them, as it was a lot different from my academy football for Bolton Wanderers Fc. I would say i pride myself on my confidence in goal and believe i can win every game and keep a clean sheet as thats the most important thing for me as a player.